Clogged Drain or Clogged Septic Tank? | Rob's Septic Tanks, Inc.
A clogged septic tank can create problems that look a lot like a clogged drain. Knowing how to tell the difference can help you take care of your home. Here’s what you need to know. Why Do Drains Clog When the Septic Tank Backs Up? The septic tank is an underground holding tank. All wastewater from the house drains into the septic tank and slowly fills it up. The inlet into the septic tank is typically near the top. Also near the top of the tank is a pipe that leads into the yard, into an area known as the drain field. When water in the septic tank reaches a certain level, this drain takes the water out of the tank and into the ground around the tank. The soil filters the water and removes the bacteria. When the water from the septic tank reaches the groundwater, it’s relatively clean. If the pipe leading into the drain field becomes clogged, the septic tank will fill up without draining water. Eventually, the water will back up into the pipe leading to the house. As the water creeps up through the main line, fixtures in the house lose their ability to drain properly. If the septic tank is completely clogged, water will back up into the house quickly. If the septic tank is only partially clogged, the drains will become slow as the water struggles to wind its way down into the septic tank. How Can You Tell You Have a Septic Tank Clog? When the septic tank is beginning to clog, many homeowners mistakenly believe that their drainage problems are due to a clog in the pipe. Sometimes it is hard to tell the difference. The biggest indication that the problem is the septic tank is if all the lower drains in the house are slow at once. When the septic tank backs up, the lower drains in the house will all be affected first, as they are the closest to the septic tank. Usually, these drains are shower drains, basement floor drains, and the toilets in the lowest rooms of the house. In addition to becoming slow, they may start to make strange noises, like gurgling sounds. This is different from a clog in the pipe leading to the main line. Local clogs typically only affect one fixture or a few connected fixtures. You’ll notice that a toilet is slow, or you may notice that two connected sinks having trouble draining. If the other fixtures in the house are all working fine, this is an indication that there is a clog in the house, not in the septic tank. Can You DIY a Septic Tank Clog? A septic tank clog should not be fixed by someone who has minimal training or a lack of tools. If you believe that your septic tank is clogged, call a septic tank pumping company to fix the problem. If you believe that the clog is in the pipe instead of the septic tank, you may be able to fix it on your own. Sprinkle the drain with baking soda, then dump vinegar into the pipe. Leave the mixture to sit in the pipe for an hour or two. Finally, flush the drain with hot water. If the clog is small, this could be enough to clear the pipe. If the clog is substantial, use an auger to clear the clog. An auger has a long, stiff cable with a pointed, twisty end. If the cable can reach the clog, then pushing the cable into the pipe can help clear the clog. If you cannot clear the clog using either of these methods, you may need to call a plumber. Do not try to clear a local clog with chemical drain cleaner. Chemical drain cleaner can kill beneficial bacteria in your septic tank, which could eventually cause another clog. What Can You Do to Prevent a Clog From Occurring? Clogs in septic tanks occur for a variety of reasons. One of the best things you can do to prevent your septic tank from clogging is to have it pumped on a regular basis. Many septic tanks need to be pumped every three to five years. You can find out how often your septic tank needs to be pumped by having a conversation with your septic tank maintenance professional. What Should You Do If You Suspect a Septic Tank Problem? If you’re having trouble with clogs in your house and you suspect that the problem originates with your septic tank, contact a reputable septic tank company. Your septic tank company can inspect your tank and tell you whether the tank needs to be pumped. 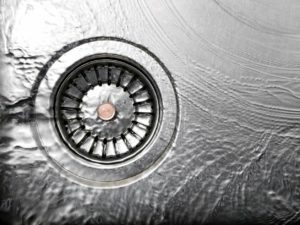 If the tank does not need to be pumped, then the clog could be somewhere in the main line leading from the house or in the drain pipes near the clogged fixture. For more information about clogs and septic tanks, contact Rob’s Septic Tanks, Inc. We’ll be happy to answer your questions and give you more information.